A fun skill to learn is hand lettering shadows. 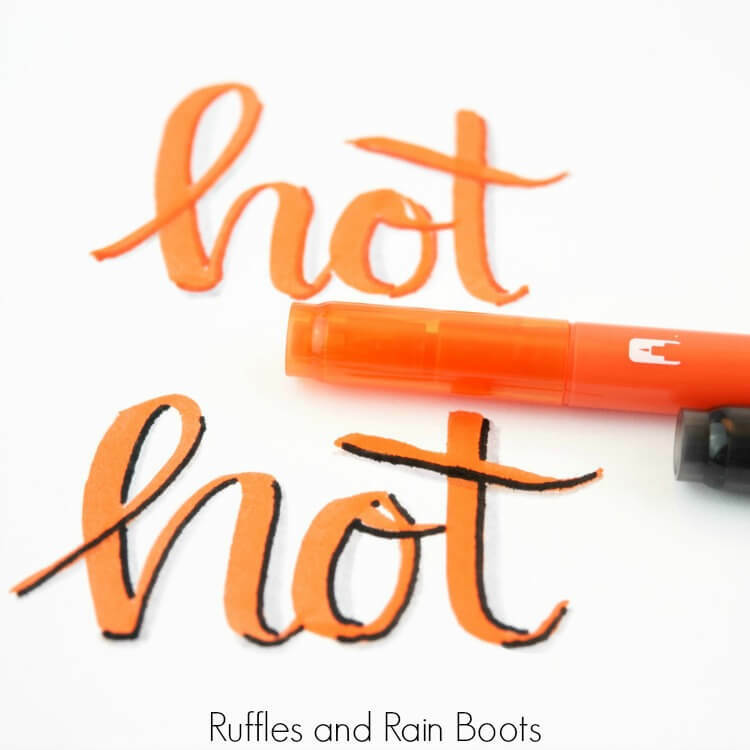 Grab some pens and let’s get started with this hand lettering tutorial to add shadows to your work. On one of my other sites, I had a lot of questions about an art piece I did. It was in the background and because of the shadowing, even though it was far away, it still had that POP! Before heading out to a family movie, I filmed a few ways to practice hand lettering shadows. 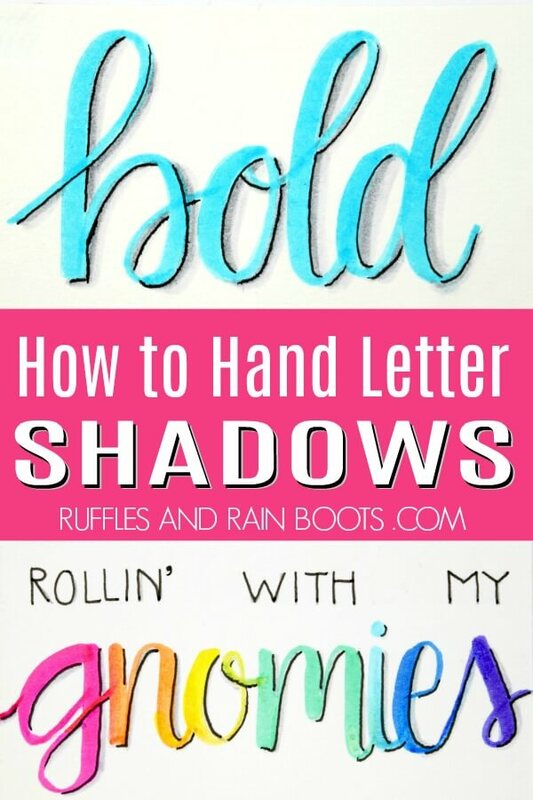 I’m sharing three techniques to add shadows to your hand lettering. Let’s get started. You can use anything, even your kids’ markers, so this supplies list is just what I happened to use. I do recommend getting the grayscale kit from Tombow (or here on Amazon). It is now a favorite of mine. I just love to hand letter (obviously) and I’ve tried many products. 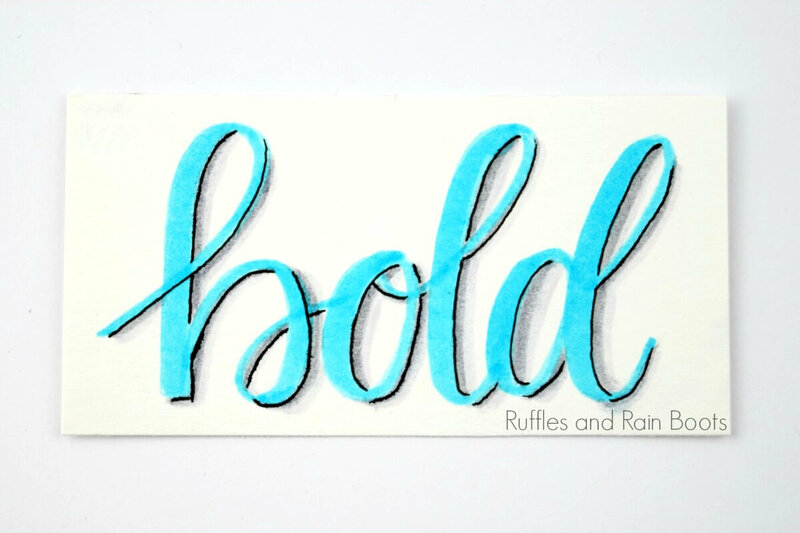 Click here to see the lettering products I recommend. So I’m not going to joke with you – I tried to make a step-by-step image-based tutorial and you couldn’t see what I was doing! 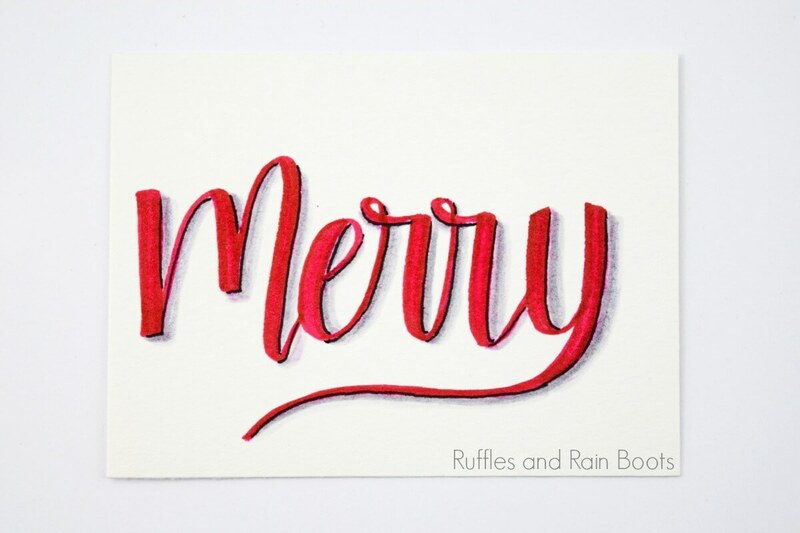 I decided that video is the best way to show this fun hand lettering technique. 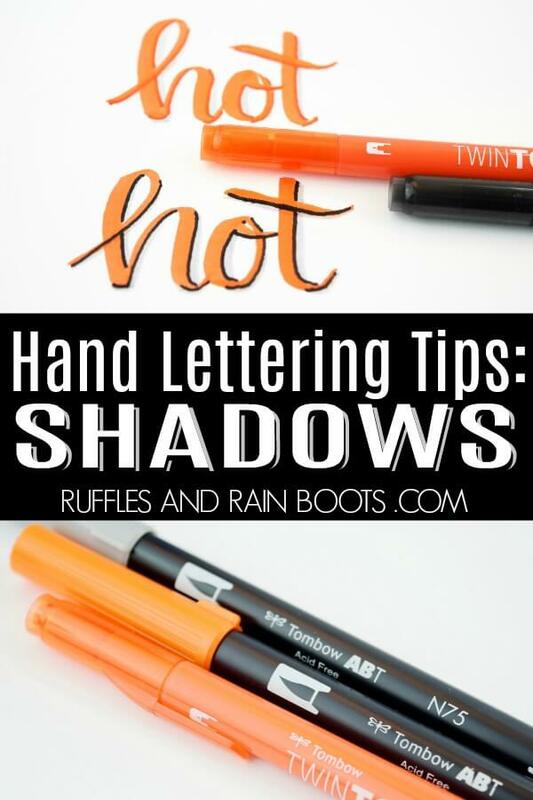 If you have a hand lettering playlist on YouTube, here is our How to Create Shadows on Hand Lettering video tutorial. Below is my attempt at written instructions for these fun lettering shadowing techniques. 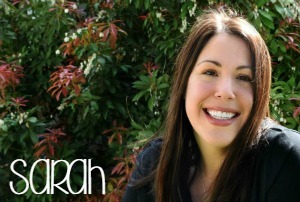 In the video, I share three ways to do it. Below is my favorite way (the third technique). Lay down your word in your primary color. Make any adjustments (add embellishments, fades, or doodles). Let dry. Identify your light source – I position my light at about 10 o’clock. Using a medium gray (N75), go just inside the color. Go over it again once to deepen the color. Let dry. Next, use a lighter gray (N95) and go just inside the gray you just put down. Let dry. Finally, using a thin pen (such as a Micron), add a line on top of the color at the darker gray edge. You know have three layers in addition to your color (black, dark gray, and light gray). Let dry. Optional: if you haven’t doodled or embellished your letters, go over the color again taking care to stay away from the black. 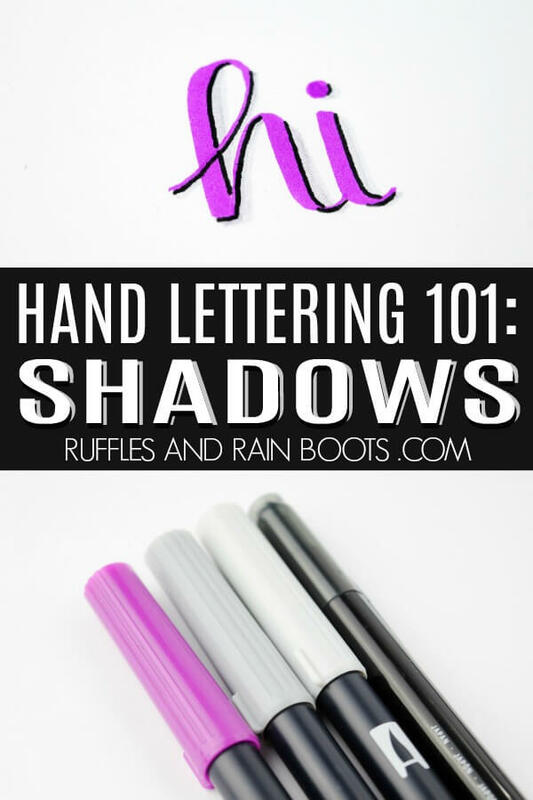 This shadow tutorial for hand lettering is most easily practiced on large pen work, though I do use it on small pen consistently. If you need some free hand lettering practice sheets in large pen to work through, here are some you might be interested in. Your shares are how this site grows and I am sincerely grateful. 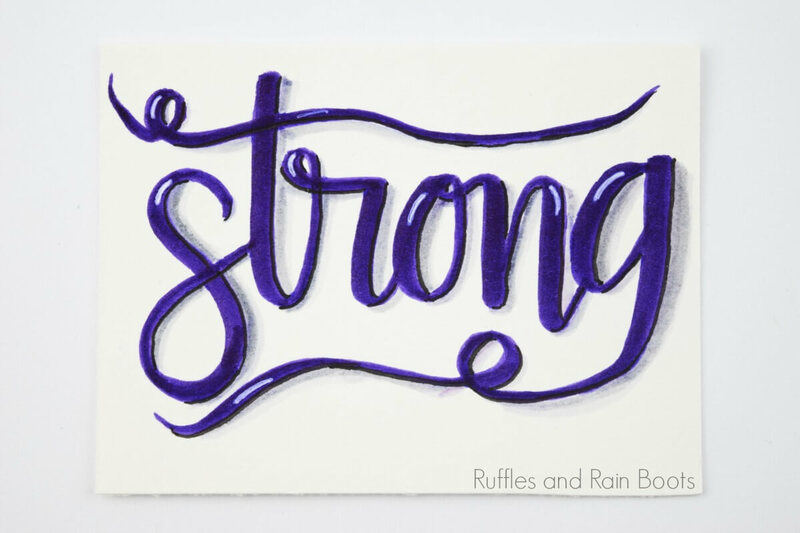 Let’s share the love of lettering! Thanks for sharing this great tutorial :) I’m a visual learner so the video was super helpful!